Please note: all presenters/panelists of each session or roundtable need to be registered before December 22, 2017. The sessions and roundtables are open to all conference participants. We are pleased to invite you to contribute to the 3rd German Future Earth Summit, the national platform for scientists and stakeholders who are engaged or interested in Future Earth and WCRP related sustainability research. The German Future Earth Summit provides an opportunity to stimulate discussions, and serves to promote the development of integrative research activities. The 2018 Summit will focus on topics related to the 8+ Future Earth Knowledge Action Networks (KAN). Activities of Future Earth Knowledge Action Networks are highly integrated, are going to contribute to realise 2030 Agenda and cover societal relevant topics such as Health, Natural Assets, Ocean, Sustainable Consumption and Production, Sustainable Development Goals, Transformations, Urban, Water-Energy-Food Nexus, Finance & Economics. 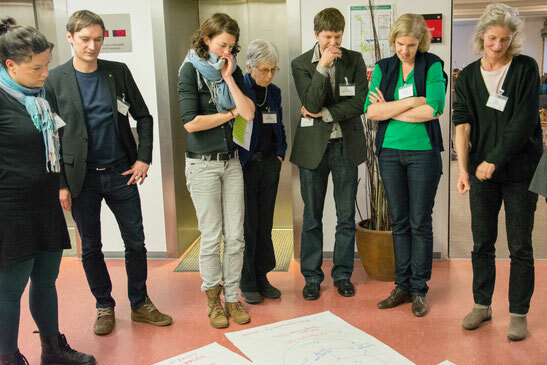 Proposals for KAN related sessions should focus on a concrete topic, are forward-looking and of high relevance for the German and international sustainability community, and contributes to the development of one of the Knowledge Action Networks (KAN). We will provide space for six parallel KAN sessions (8.2.2018, 14:30-16:30). (B) offer a platform on specific topics (initiated by stakeholders of politics/economy/civilsociety or research community) to find partners for new highly integrated research related activities. We will provide space for four parallel roundtable discussions (9.2.2018, 11:00-12:30). Proposals for research posts (in blog style). At 2018 Summit we offer the possibility to present your research as an online blog post (max. 1000 words). We invite you to use this great opportunity to provide research evidence in an digital format, to reach wider audiences in academia and beyond, or to share an image and/or audio and video formats in ways that positively impacts your research. The research posts should be related to topics of global sustainability and will be available online at our conference website. The best research posts can be presented in 'lightning talks' at the conference evening reception. How to write a research post in blog style? The post should include a central message (1-2 sentences), background, results, conclusion, and next steps or recommendations for decision-makers. Each research post should include one image (<2MB, note Creative Commons licence rules) and can include links to other websites (up to five) as well as references (up to three). To submit a proposal please complete the form, save it locally and send it via our conference management system (or by email: events@dkn-future-earth.de). All proposals must be submitted in English language. Please note: For smaller groups (up to 10 people) we offer to meet ad-hoc in an Open Space Forum parallel to sessions and roundtables. This will be organised on site. But if you already have a topic in mind that you would like discuss with peers at the conference, don’t hesitate to contact us. We very much welcome your active participation. Please make use of the pool of ideas and experiences from various areas of the natural and social sciences, humanities, and engineering sciences but also of the field of development cooperation and others to bring forward integrative research on global sustainability with us.